Still looking for a summer job? Check out open positions here! Technical assistance to set up a weed or pest management program using integrated management. Cost-share programs which reduce the cost of managing certain weeds or pests. These programs vary from district to district; check with your district supervisor for details and availability of cost-share programs in your county (designed by the District Boards). Special programs may be established to meet specific local needs. If the problem is significant, some weed or pest species may be classified by law as “declared”. Provide an inspection service to attest your fields meet Wyoming Certification Standards and certify the resulting forages are certified weed-free. 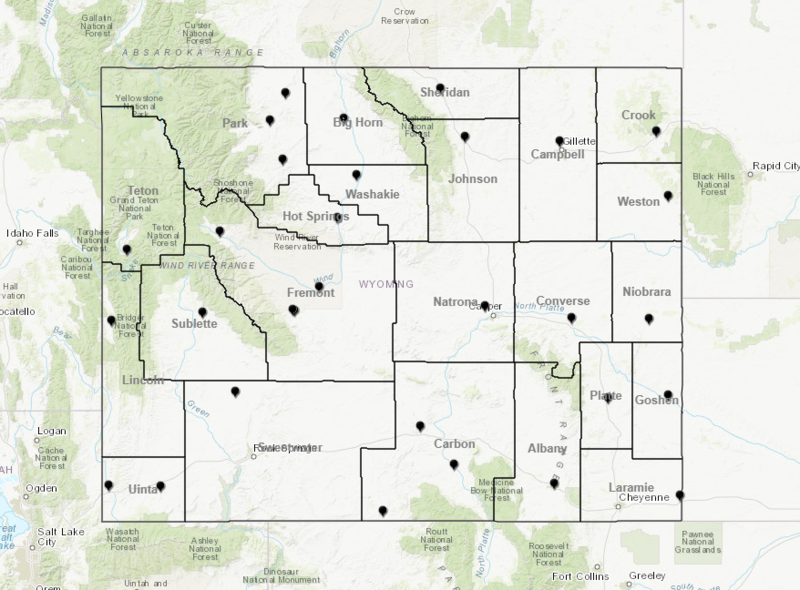 Tap the resources of the Wyoming Weed and Pest Council, the University of Wyoming, the Wyoming Department of Agriculture, and various other federal, state, and private organizations. Although actual daily operations are site-specific to local conditions, the general goals and operating procedures are similar for all Districts statewide. The Wyoming Weed and Pest Council is happy to announce it is offering a $1,000.00 scholarship to Wyoming residents! Guidelines: Applicant must be a Wyoming resident, either graduating high school or an enrolled college student that is or will be pursuing a college discipline of or relating to agriculture or natural resources. The applicant must attend a university, community college or trade school that is certified by an accrediting agency. Inclusive of seedlings, ligules, seeds, and invasive grasses, this comprehensive document gives you insight into how these species appear, impact the environment, and steps to take in avoiding or reporting them. The 72nd Wyoming Weed & Pest Council Fall Conference & Business Meeting will be held from November 1st – 3rd, 2016 at Cody, WY. Please find details below.